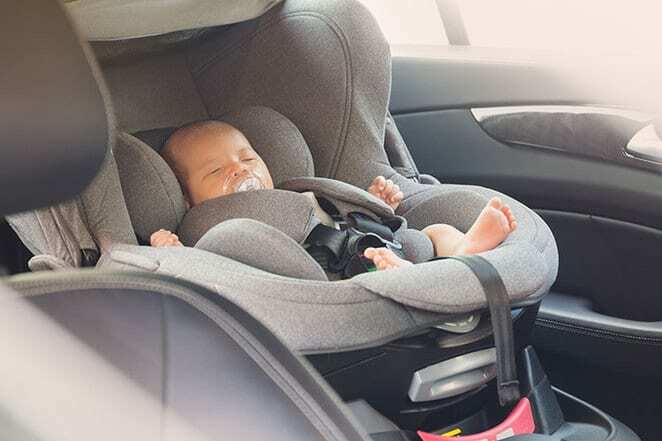 Whether you’re a parent, a grandparent or occasional caregiver, it’s important to have the right type of car seat while travelling anywhere with kids. Car seats change as children grow, and many people don’t realize that car seats have an expiration date. If you have kids in the car, it’s your responsibility to ensure they have a safe and comfortable seat. Read on for the top 10 car seat reviews in Canada and see if your favorite car seat makes the list. This car seat has a rear-facing limit of 40 pounds and a forward facing limit of 65 pounds. It expires six years after the date of manufacture and is fairly narrow, allowing it to fit three across in a standard sized vehicle. While it can be tricky to install, the seat is affordable and reliable enough to be a top choice for parents. The SureRide is rear-facing up to 40 pounds and forward-facing up to 65 pounds. It has a 6 year lifespan and is one of the most budget-friendly seats on the market. The seat fits newborns well and is not overly bulky. However, the seat does have rather narrow harness straps and lacks covers. Overall, it’s an excellent economic option. Graco is a popular choice of car seat, and the My Ride is one of the most popular models. Its rear-facing capacity is up to 40 pounds and forward-facing up to 65 pounds. The seat lasts 7 years and fits newborns well. In the rear-facing position, it has excellent reclining capabilities, which is ideal for young kids. Like other convertibles, these seat’s rear-facing capacity is 40 pounds, and forward-facing is 65 pounds. They expire after seven years and are easy to install. You do not have to re-thread the harness to change the height of the straps, and the lower anchors have push-button connectors that parents love. 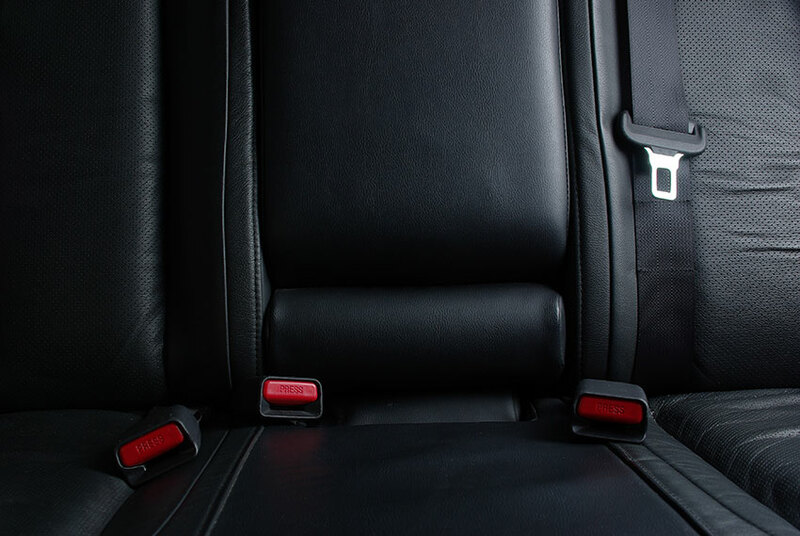 However, the small interior shape of the seat limits legroom, and they can be quite expensive. For compact cars, the Diono Radian is the top contender. The seat rear faces up to 40 pounds and forward faces up to 65 pounds. It has an 8-year lifespan or 10 years in booster mode. Its narrow design is ideal for small cars, and can sit three across. However, some say it is prohibitively expensive. The seat has a rear-facing limit of 45 pounds and a forward-facing limit of 65 pounds. It expires after 7 years and has the rethread-free harness adjustment many parents love. It fits newborns and has an adjustable crock strap. The seat is known for being outgrown easily, with most kids unable to sit in it until booster age. The simple design allows children to sit facing the rear until they’ve reached 40 pounds or face forward until 65 pounds. It lasts nine years and has water and stain resistant fabric. It offers three recline positions in the rear-facing mode and sits higher than other seats. This seat is a bargain. This seat is a top-performer with good rates. It seats children up to 40 pounds in the rear-facing position and 65 pounds in forward-facing. It is a great long-term seat. Available online and at retail locations, this seat is rear-facing until 35 pounds and forward-facing until 65 pounds. It has an anti-rebound bar and is fully lined with EPP foam. The seat has built-in pillows and a cup holder. Available through Walmart or online, the Cosco Scenera 40RF is affordable and reliable. The no-frills seat provides a safe ride, rear-facing until 40 pounds or forward-facing until 65 pounds. The standard seat has all the safety features you’d expect to find in a car seat, but none of the added features (or cost! ).